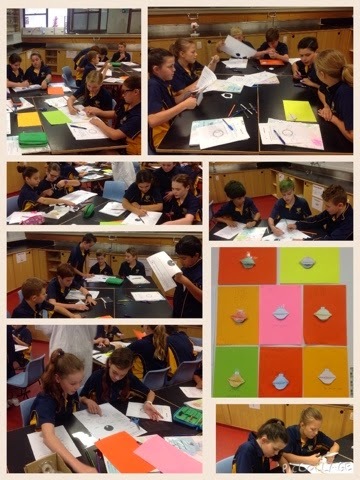 Today in science, we went down to the science lab and learned about the functions and parts of the human eye. 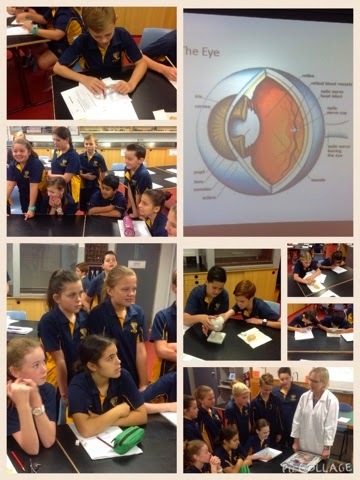 In this lesson, we were shown labeled diagrams of the human eye, models of the human eye and even a real eye. Well, a cow's eye to be exact, but anyways. We dissected the eye and were shown the parts of the eye just like in the diagrams, and told the different function of the parts, such as the iris, which is the colour of our eyes, and the lens, which is used for magnifying objects. After learning these things, we were given a work sheet to fill in. In this worksheet, we had to label the parts of an eye and list what a lens does (because we were learning about lenses and refraction in our last science lesson) and before the lesson was officially finished, we made our own models of a human eye. For my final reflections, we learned a lot in this lesson, and I'm looking forward to to learning more about the topic.